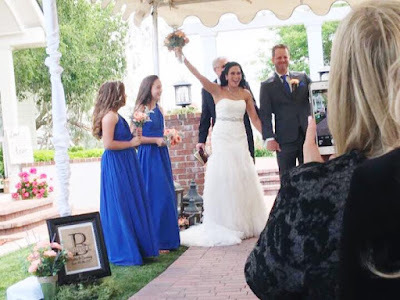 One Not So Bored Mommy: Our Wedding Day Was Extra Sweet Thanks To These Companies - THANK YOU! 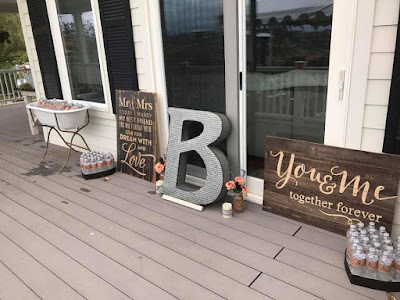 Our Wedding Day Was Extra Sweet Thanks To These Companies - THANK YOU! We you know, we TIED THE KNOT on Saturday, before GOD, our family and our closest of close friends! 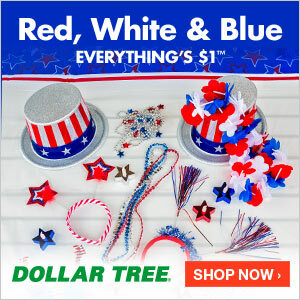 All products for this review/feature were sent free of charge by the companies. I was not offered any monetary compensation by posting my honest opinion about the products/companies mentioned from our wedding day! The weather was trying it's best to ruin what turned out to be the most amazing evening, topped off with a FULL RAINBOW blessing, just as we said "I DO"! Seriously, it was perfect timing! No amount of wind, rain or cold could stop our union from being favored, and we all totally felt it! As I was planning our wedding day event for over a year and a half...I came across a few companies that I just fell in love with! Companies that connected with me & that sent us their products to share during our event, in one way or another! 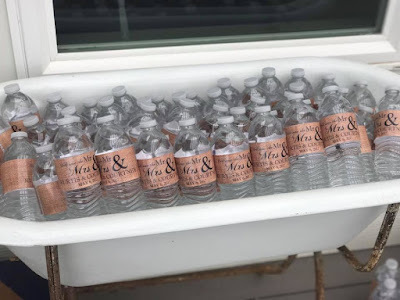 These water bottle lables from @MyWonderfulLabels were a perfect personalized touch and offered everyone a refreshing sip of water with these adorable personalized water bottle labels! 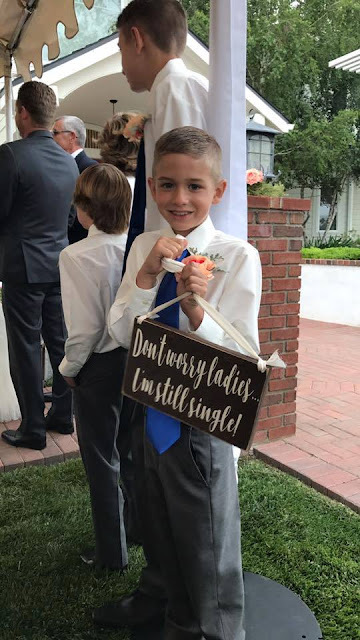 My youngest carried this sign down the aisle and held it during our ceremony. 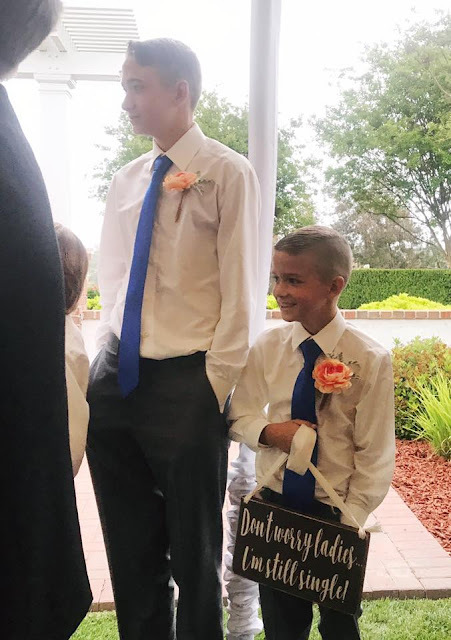 EVERYONE loved this sweet little touch and of course, thought he was the perfect little guy to carry it! This sign was sent to us by @LemonadeStand.ca . It was a total hit!! 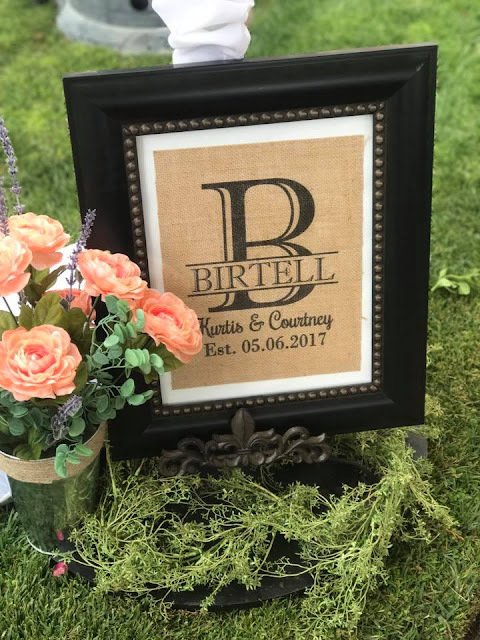 We had this amazing Burlap sign displayed during our ceremony...and I'm sure it will be in so many of the pictures our professional photographers snapped. A thanks to @KnotnNest for it, because now that the wedding is over, it's sweetly displayed in our home for years to come! FRIAR TUX gave us the hook ups with my groom's amazing suit and the boy's outfits rentals for the day, x's 4. I had already purchased their ties and pocket squares to match the girls dresses ahead of time, but the rest of their look came straight from Friar Tux's store. Their staff were absolutely fantastic in helping get the guys sized (even amidst a very busy prom season), even in getting last minute socks for them all to wear with their fancy shoes we rented to. They all looked "ON POINT" and felt like a million dollars too! I just wanted to take a second to thanks all of those who offered us a product to use for our special day! I was not paid to feature this post! All products sent for this review/feature were sent free of charge by the company for their feature! I was not offered any monetary compensation by posting my opinion about them! $900+ Value BEAUTY #Giveaway - THIS IS HUGE! !